What's Different about the DC950? The in-ear DC950 has a bass that goes deeper than deep and crisp clean trebles that hit higher than you would expect from a set of in-ear headphones at this price point! I would even go as far as saying they are performing out of their price range! Gold plated 3.5mm plug, Cord Length: 3.93ft(1.2m) . The DC950 delivers detailed sound with enhanced bass. 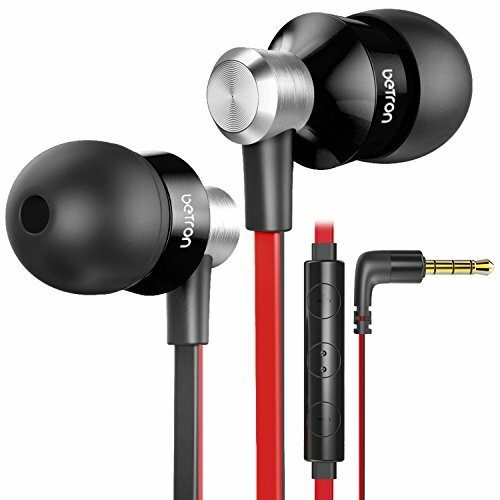 In Ear Design; includes 3 sets of black ear bud gels S/M/L and convenient carry case. If you have any questions about this product by Betron, contact us by completing and submitting the form below. If you are looking for a specif part number, please include it with your message.